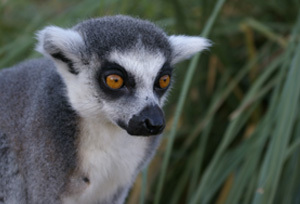 My wife got me a lemur for Christmas last year, through Whipsnade Wild Animal Park’s adoption scheme. You don’t get one to take away unfortunately, but you do get a pair of free tickets to the zoo. We finally got round to visiting on the weekend, and I wanted a photo of my lemur. I like photographing animals. I just wish they’d hold still. Nice Lemur! Can he sing “I like to move it move it”?